On behalf of the staff, students and trustees, I would like to take this opportunity to welcome you to The Boswells School. over-subscribed 11-18 school in Chelmsford, Essex that has an excellent reputation within the community. We are an exciting, dynamic and forward thinking school community whose sole focus is the success of each of our students. We are extremely proud of our academic success and have a deserved reputation as an excellent school. Our innovative approaches to teaching and learning ensure that more students than ever are achieving high levels of academic success. In 2018, at GCSE 88% of all students achieved a ‘good pass’ (Grade 4+) in English (either Language or Literature or both) and 72% of students achieved a good pass in Mathematics. Both of these measures are significantly above the national averages, as was the percentage of students achieving a ‘strong pass (Grade 5+). There were also a number of outstanding results in other GCSE subjects that were also significantly above the national average. Art & Design, Biology, Chemistry, Combined Science, Computer Science, Dance, German, History, Media Studies, Music, Physics and Spanish all achieved grades well above the national average. At A Level, 68% of all grades awarded were A*-B grades and 93% A*- C grades. All these measures of attainment are significantly above local and national averages and mean we are the highest performing non selective state school in Essex for A Levels. As well as academic success we are also proud of our wide range of extra-curricular clubs and activities that we offer students. Our Performing Arts productions are renowned for their outstanding quality and our sports teams compete at local, regional and national levels. There are also a wide range of trips and visits that allow our students to gain skills and experiences well beyond the classroom. Whilst our approach to teaching is innovative, it is underpinned by an insistence on the traditional values of excellent behaviour, courtesy to others, wearing school uniform with pride and self-respect and discipline. It is my belief that students will only achieve their full potential if these values are exhibited by everyone in the school community. Our aim is to provide all of our students with an outstanding education that will prepare them for a successful future. As Head of School of The Boswells School, I am extremely proud of what our students achieve. 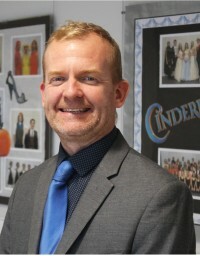 It is a real pleasure to lead such a high performing, innovative and welcoming school and one that I am confident allows success for every student, regardless of ability. I hope you find this site useful and that it provides you with the information you are looking for. As well as our website, you can keep up to date with news and information about the school via our Facebook page (The Boswells School Official) and our Twitter feed (@BoswellsSchool). I look forward to welcoming you to The Boswells School.